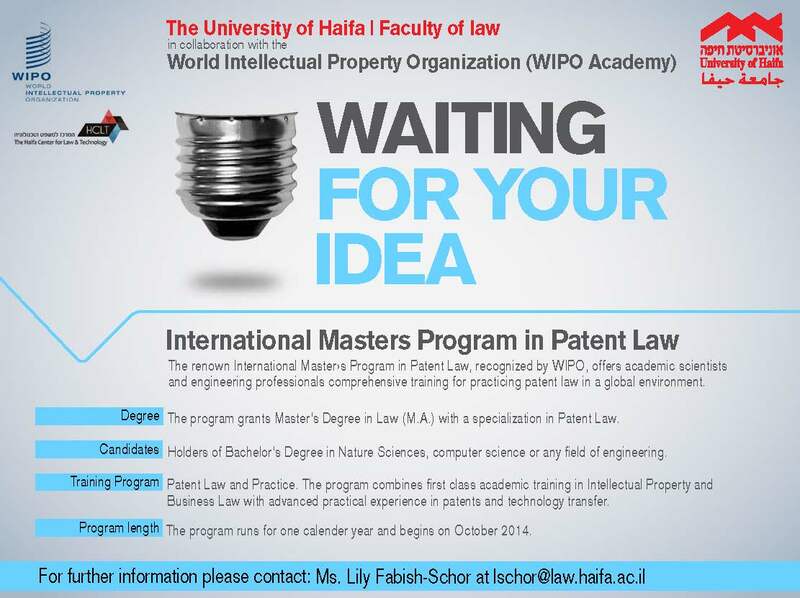 Haifa University have announced their Masters’ Program in Patent Law. It’s WIPO accredited. Looking at the draft circular from the patent office regarding such programs giving dispensation from the oral exam, it does not seem that it will be an easy way to get licensed as an Israel Patent Attorney. It may, however, be a good systematic way to learn the material. It is actually an interesting point whether WIPO which is a broad-based section of the UN and gives an equal voice to all member states is necessarily relevant for general practice, where only a handful of regimes are of interest. No doubt in time, we will see if graduates of the program are better patent attorneys. I would hope that it gives a broad understanding of patents and that its graduates become counsel to firms.